This Amsterdam relocation guide has been designed with the explicit intention to provide expats and travellers with all they need to know about moving to Amsterdam. The first exciting chapter covers Accommodation. 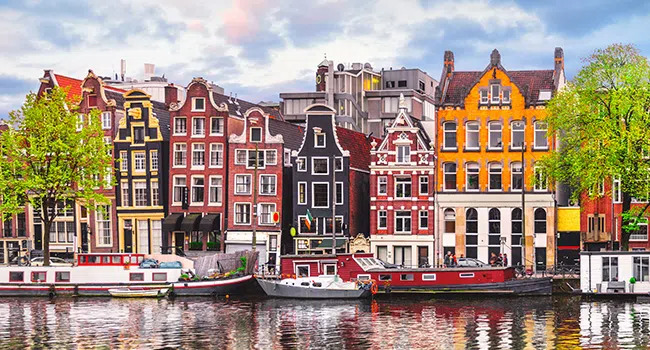 Within this chapter, we will be covering the glorious rental market of Amsterdam as well as other pieces of practical knowledge that will come in handy. The guide in your hands has been purposefully constructed to help you understand the intricacies of the Amsterdam Rental Market. The property market in Amsterdam is currently recovering to 2008 highs. After seven years of sharply decreasing prices, brought on largely by the economic crisis and the recession, it is with confidence that the Dutch Market can be recorded as regaining its balance. This does mean that house prices are rising and becoming expensive for buyers, whether they’re first time or expats crossing over. It is vitally important that before you start moving you have a rough idea of what you want from your rental property. Does the rental need to allow pets? Do you need a garden? How far can you commute to work every morning? How important are public transport links? All these questions need to be answered as they can help you assess what your ideal property will be and what location you want to be situated in. Then, you will see the number of properties on your list decrease and thus your dream property will appear. When you have your needs and wants all together, your rental search will be easier to navigate through the storms. The housing market, like in any city or country, is very competitive and is important you apply your patience as you weave your way across the rickety landscape. Registering for email alerts on property sites can alleviate a lot of pressure and keep you in the loop with the latest happenings. Most people use agents to assist with their property search. It is recommended that you contact the agent by phone, when you’ve found somewhere of interest, rather than emailing. This looks more professional and allows you to build a working relationship between you and the agent. This can ensure that you get the dream accommodation you want. When taking the next big step in your life, it is always best to be prepared. Paperwork and all of that business must all be in order, otherwise you will be adding further hassle where there doesn’t need to be any. ATM card, credit card, bank book, bank statement from Netherlands bank. Medicare Card (For those moving from the UK). This is an important issue to consider before moving into a new property. Very often this is the landlord’s decision and not the prospective tenant’s. This may well influence your decision, especially if you want the furniture to be present or whether you would rather buy your own. Don’t be afraid to ask or to double check with your landlord or agent if you’re unsure about what is or isn’t included in the property. Answers to pertinent questions guarantee the reduction of stress levels and bring peace to the upheaval. A stunning and lavish city, Amsterdam became one of the most important ports during the Dutch Golden Age in the 17th Century. It was the leading centre of finance and diamonds with the Amsterdam Stock Exchange being the oldest stock market in the world. Being the cultural capital of the Netherlands, you’re in for a treat when it comes to the areas and districts where you can stay. Who knows, if you choose to stay in Jordaan or Grachtengordel, you could have excellent views of the canals to look forward to every morning. Wherever you choose to stay, you’ll be in for a treat of cultural magnitude. Landlords will usually list through an agent in order to get their property and listing the exposure they desire. What does this mean for you? It means you’ll be dealing with an agent throughout your search. Landlords come later on in the game. You probably won’t meet your landlord until you register an interest in the property or, rarely, until you go on a viewing. You can find many websites that offer plenty of assistance and advice through the long slog of property searching. Try out our team of experts at thesqua.re. We can offer plenty of insight into why serviced apartments are the better option compared to the usual renting procedures. On your search, you may come across terms and elements that may be unfamiliar to you. Below you’ll find information that can assist you on your search. This is a contractual document between yourself and the landlord, which in most circumstances is overseen by an agent. In layman’s terms it outlines the requirements of both the tenant (yourself) and landlord. Every landlord must produce a tenancy agreement, otherwise this can be classed as bad practice. If you are unsure of anything within the document raise your issues with either the agent or landlord. Be aware of grey areas and challenge them if needs be as, like any contract, this is legally binding. Confirmation of money the tenant must pay per month. Confirmation of the date which money must be paid to the landlord. Conditions around late payments and missed payments. The agreed length of tenancy - most tenancies last 12 months and can be renewed on completion. The amount charged for a security deposit. A set of rules and regulations to which the tenant must abide by or otherwise face eviction. You must be prepared to financially commit to the upkeep and maintenance of your dream property. This is covered more in the Maintenance section. The estate agent’s admin fees should ideally be paid by the landlord and not yourself. This can change in some circumstances but you should be informed about this beforehand. You will have to pay a deposit of up to two months’ rent for your dream property. This is standard practice and you’ve probably paid such a fee before for other properties and rentals in the past. The deposit cannot be used to pay rent and is strictly held to compensate for any damages that are incurred during your stay. Your contract should mention whether utilities like gas, electric and water are covered by your rent or whether they are separate. If your bills are included then you should receive an account of the real amounts paid at least once per year. This enables you to get a refund on any excess amount paid by you. Both the tenant and the landlord have obligations towards the maintenance of the property. The tenant has to see to the small day-to-day repairs while the landlord will be responsible for major and extensive repairs to the property. There are many companies that can get your dearest possessions to Amsterdam quickly and efficiently. Good prices can be found by those that search. Some of the best providers can be found on Experts for Expats. An outstanding alternative is Best Global Movers that helps you find quotes based on your moving needs and anxieties. As always, fortune favours those who search. Or rather, you’ll find the right deal if you scour through the options that your search pops up. How much will it cost to get your belongings to Amsterdam? How much much will you be approximately spending in a month (rent, utilities, internet, council tax and maintenance costs, etc)? When will your rent be reviewed? Is it possible to extend your tenancy after it finishes? Can you negotiate your rent? Have you been given a copy of the tenancy agreement? Is your security deposit protected by the Tenancy Deposit Protection Scheme? Will the property be furnished or unfurnished? Serviced apartments are fast becoming the chosen form of accommodation for travellers. Who can blame them with all the benefits that serviced accommodation provides? They are a perfect alternative to renting privately in Amsterdam. Why? Well, for starters, all legal and contractual aspects are completely taken over and you can benefit from not having to pay any deposit, agency fees, maintenance costs and bills. You don’t have to worry about furnishings either, all the furniture, beddings, cutlery and accessories are already in place. You can commit on a week-to-week basis or even cancel with only 24 hours notice - no need to worry about dealing with landlords and paying rent as they try and find a new tenant. Finally, you’ll benefit from a professional cleaning service that will keep your bespoke accommodation squeaky clean. 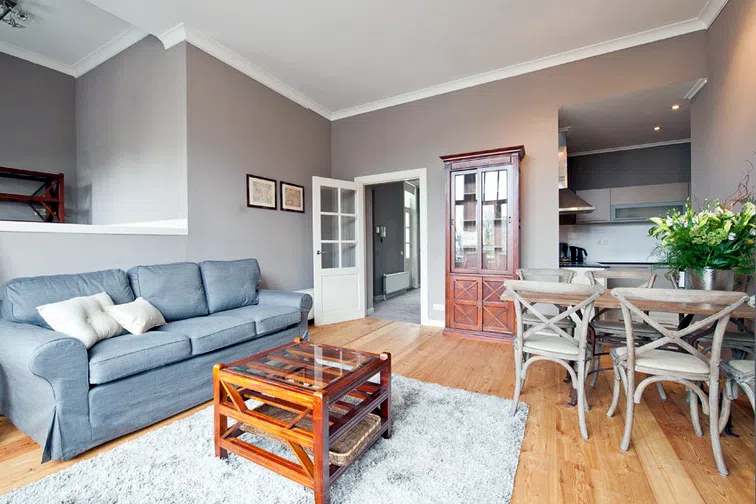 All in all, you will find that serviced apartments are the ideal choice for any extended stay and can help you to enjoy a new neighbourhood before you purchase a property in the long term. We are thesqua.re, a serviced apartments provider based in Amsterdam. We offer corporate clients and people who are relocating to Amsterdam with bespoke serviced accommodation that fits all their needs. Our many years of experience in this industry gives us a unique understanding into the requirements of expats and corporate travellers that are looking to make Amsterdam their new home. This extensive and spectacular guide will help you to prepare for the hussle and bussle of Amsterdam before the big move and to settle in during your stay. We hope you will find this guide useful throughout your stay in Amsterdam.